Imagine this if you can. You are shot on the streets of New York City. One minute you are walking down the sidewalk, the next you wake up in a hospital bed, days later. Forget the reason for the shooting, because even if you are merely hit by a stray bullet, you will find yourself handcuffed to the hospital bed. This scenario happens to many people all over New York City. The reason for the handcuffing has nothing to do with the shooting itself. These people are handcuffed because the police found outstanding warrants for the victim’s arrest. The warrants range from unpaid tickets for open containers to unanswered disorderly conduct summons. The question is, should shooting victims be punished for previous, non-violent crimes while being treated for mortal wounds? The New York City Police Department deals with criminal shootings very frequently. As one of the largest cities in the United States, New York City is not immune to crime. Therefore, the NYPD has a well-defined guideline for shooting victims. They all receive background checks in order to determine the presence of outstanding warrants. 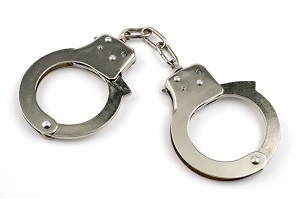 If one exists, the cuffs are slapped on until the victim goes to court. This policy makes sense from the perspective of the law. When detectives look into the reason for the shooting, they try to find a perpetrator through researching the victim. If, for example, the victim had warrants for drug possession, the detective can start looking into known associates with drug connections. However, this does not necessarily mean the victims should be shackled to the hospital bed while receiving treatment. When one considers that many of these patients are handcuffed for minor offenses, the policy seems superfluous. The New York City court system contains 1.2 million outstanding warrants, especially amongst African-American neighborhoods, which are targeted more often by the NYPD. The focus on low-income and racially segregated areas means most shooting victims are likely to have an outstanding warrant, and therefore end up handcuffed to the bed. One can quickly ascertain the physical harm to restraining gunshot-wounded patients. If the physician needs to move the patient in order to assess the damage or check on the wound, the handcuff will prevent this care. Furthermore, if the victim needs surgery, the handcuff can delay the transition to the operating room. The emotional harm is harder to gauge and more difficult to understand. For example, a victim could have a warrant for open container. They are saving money to pay off the ticket, but have not been able to yet. They get shot through no fault of their own, and end up handcuffed to their hospital bed. They cannot go to court to pay the ticket because they are undergoing medical treatment, yet cannot receive proper medical treatment because of the handcuff. A law enforcement/medical treatment catch 22 arises that only serves to confuse and annoy the victim. This policy has no doubt kept violent offenders from causing havoc in medical facilities, as well as ensuring proper detainment procedures for serious criminals. However, as previously mentioned, the vast majority of the victims have warrants for minor crimes. In addition to the handcuff, these patients also require a police guard while at the hospital. These guards often stay with the patient while they are unconscious, keeping a police officer off the streets where they are needed most. The policy is under review from deputies within the NYPD, and hopefully change will come from the department. Until then, shooting victims with minor warrants will remain handcuffed to their hospital beds while idle police officers waste their time guarding them.